New Zealand political party, The Opportunity Party, will use Horizon State’s blockchain voting system to conduct its leadership election next month. The move will be a first for New Zealand politics and if successful may open the door to more political parties using the blockchain-secure approach. The Opportunities Party (TOP) members will be able to vote in the leadership contest from their phones using the Horizon State platform. Geoff Simmons, the interim leader of The Opportunities Party, says he hopes the approach will engage more party members. “When I took over as leader of The Opportunities Party, I committed to giving our members a greater say. I hope that more people join our already healthy membership of around 4,000 and they all take the chance to have their say,” said Mr Simmons. Horizon State claims to offer one of the world’s most powerful and reliable digital ballot box systems. Earlier this year Micky reported Horizon State’s voting solution is being used by The Democratic Party of India. While this week, Micky exclusively revealed a well-known german football club is trialing the platform. “TOP has made a brave choice – to run a fully transparent and inclusive process,” said Horizon State co-founder Nimo Naamani. 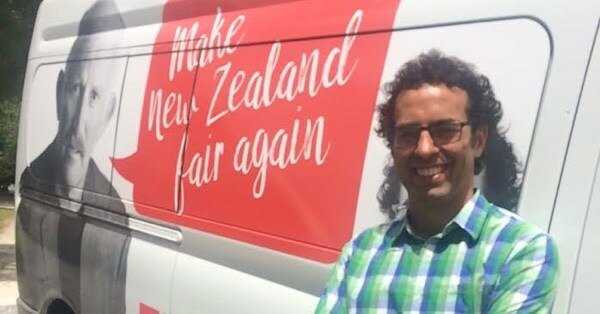 “This act has the potential to set a new standard in the NZ political arena, and is the kind of forward and inclusive thinking that I believe appeals to many in our country. TOP’s leadership election will use Preferential Voting (STV) in which each voter indicates their preferences ranked from first to last. The TOP blockchain-based leadership ballot will begin on December 1. How exactly does blockchain voting work? @supermario Blockchain is a digital ledger. It draws power from the peers – or nodes – on its network to verify, process, and record all transactions across the system. This ledger is never stored, but rather exists on the “chain” supported by millions of nodes simultaneously. Encryption and decentralization, blockchain’s database of transactions is incorruptible, and each record is easily verifiable. The network cannot be taken down or influenced by a single party because it doesn’t exist in one place. @tokenomic Am still new to blockchain technology, but it does sound promising. Blockchain is slowly inching its way into politics too. The idea to run a fully transparent and inclusive process is a good idea. However, how did people not know to do this in the first place?